The phone verification is an optional paid feature unless your submission is set for mandatory phone verification. If you see a notice that your listing needs a verification, it means that either a category you selected requires a mandatory verification or our editorial team marked your listing as a suspicious or intentionally miscategorized. 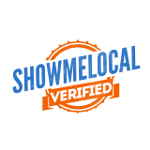 Once verified your listing get the "verified" badge .